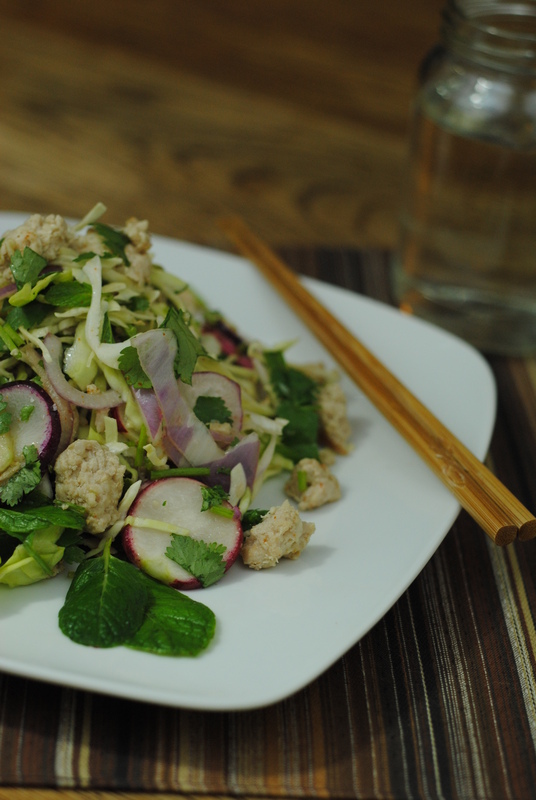 This simple low-amine dish is quick to make and delicious. A little chicken goes a long way once it is pounded flat and breaded, too. This low-amine dish is crisp and satisfying, hearty, and much lower in fat when baked than when fried. Lay foil down on a cookie sheet. Pound each cutlet flat with a tenderizer. I pound mine to about a quarter-inch thickness. Set aside. Mix breadcrumbs, thyme, ascorbic acid, and salt. 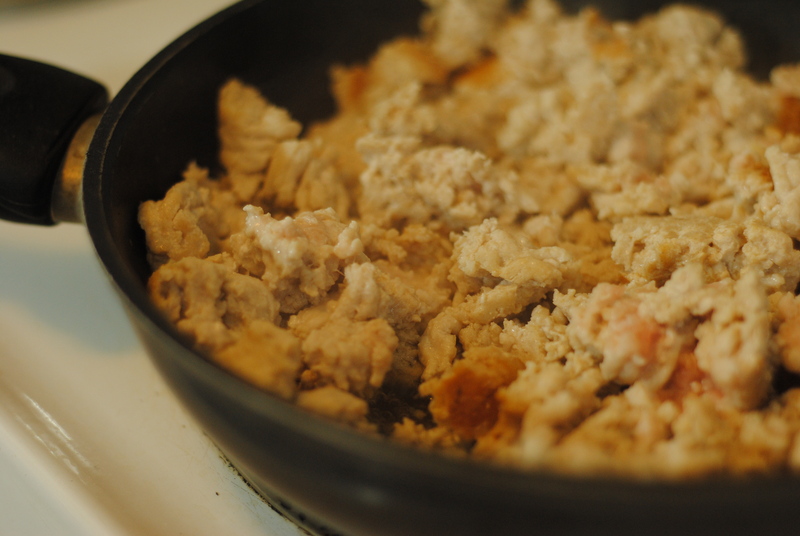 Dredge chicken in egg whites, then coat in breadcrumb mixture. Lay flat on the cookie sheet. 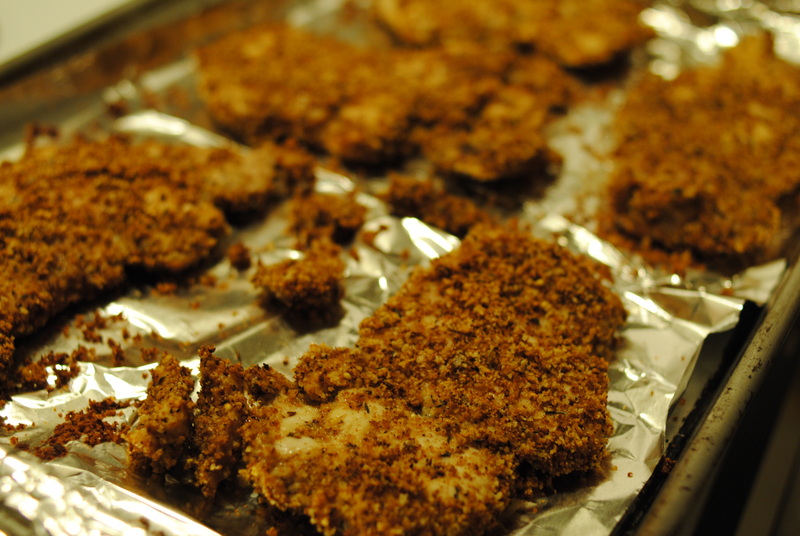 Arrange gluten-free, low-amine chicken cutlets with space between. Bake for 5 minutes on each side. 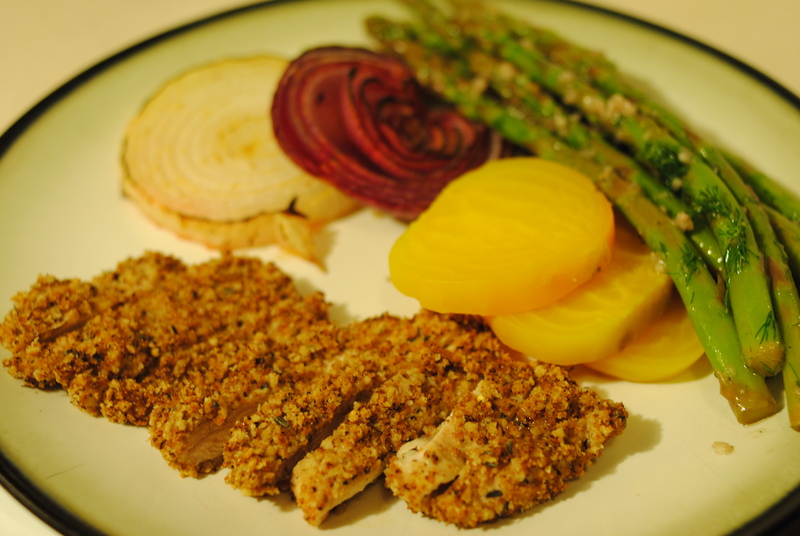 Low-amine chicken dinners are often easy and delicious. This recipe can be cooked with pre-packaged Italian style breadcrumbs, but I prefer to use my own low-amine, gluten-free bread to make the gluten-free Italian breadcrumb mix. 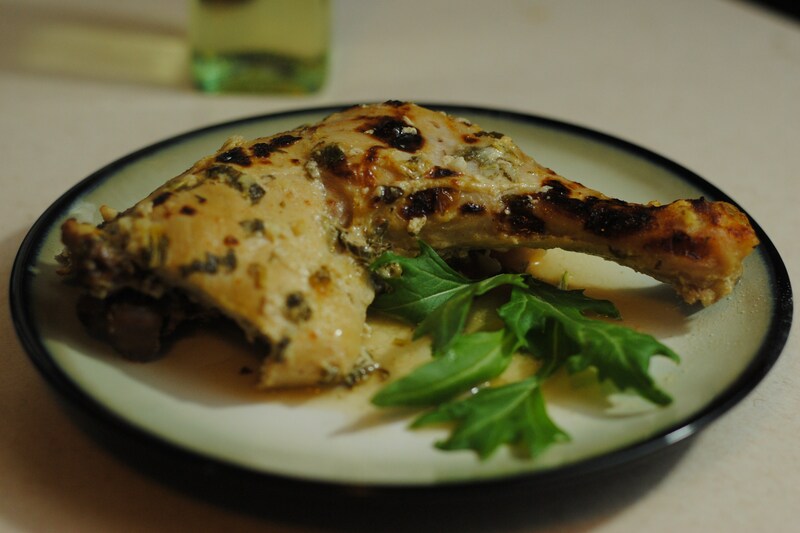 Chicken breasts were cooked at the same time as legs and thighs and both came out of the oven at the same time and were perfectly cooked, tender, and juicy. 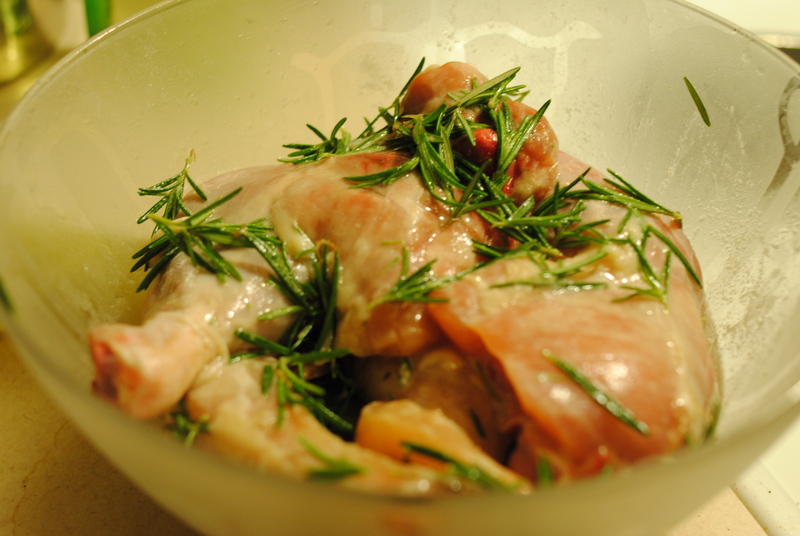 Strip rosemary off stems and mix into a large bowl with chicken, ascorbic acid, sea salt, safflower oil, and apple juice. 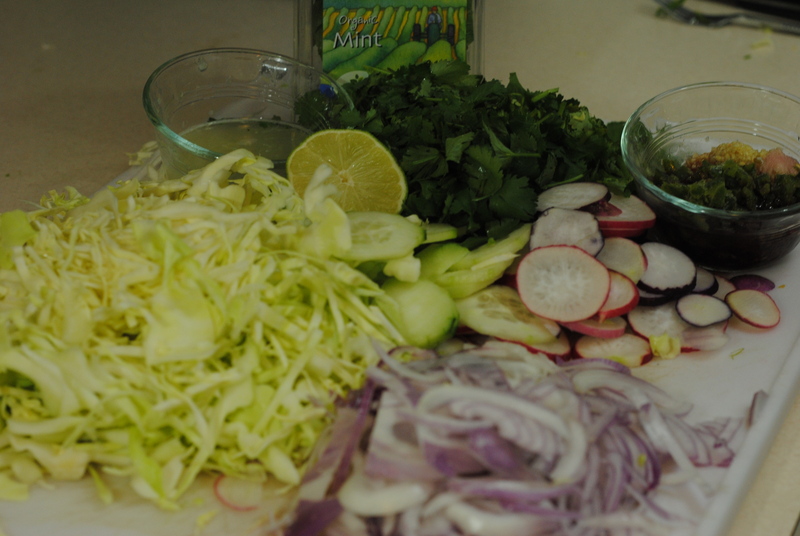 Marinate for four hours, making sure to turn in bowl as often as possible to ensure even coating of marinade. Place toast on oven rack. When toast is browned, flip over and toast until very crisp but not burned. 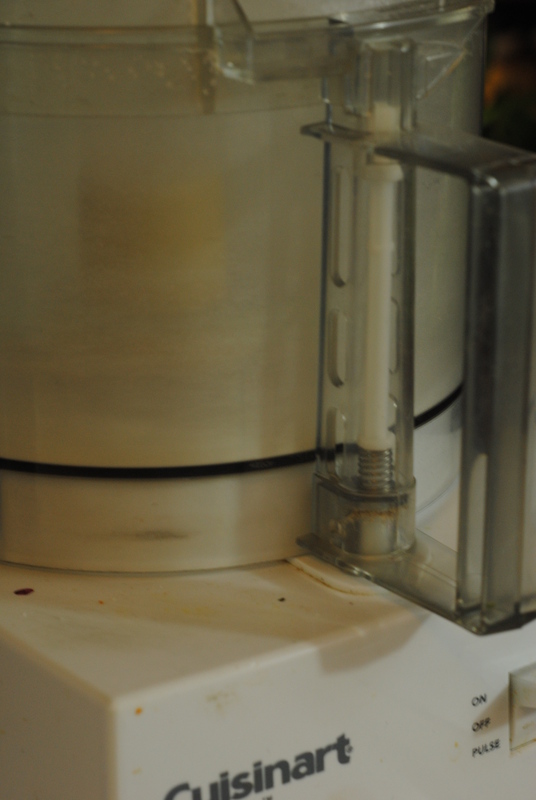 Add toast to food processor and blend. 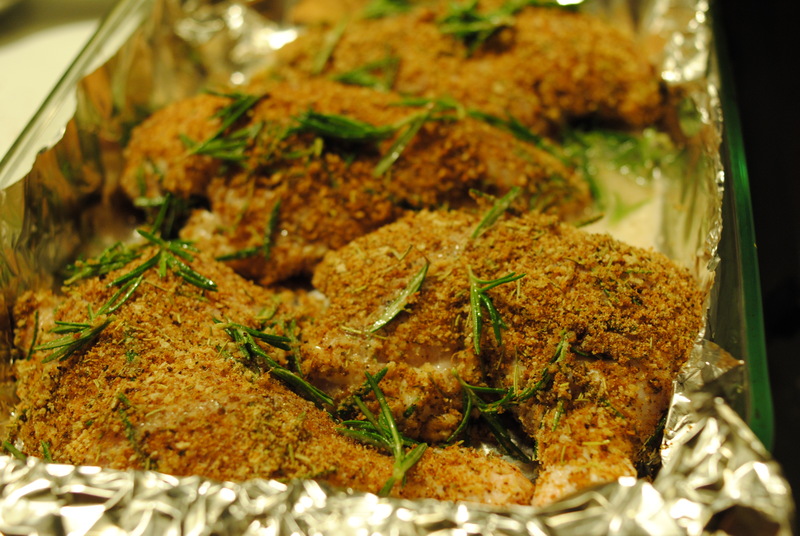 When halfway to fine breadcrumbs, add dried rosemary, Italian seasoning, and salt. Finish processing. 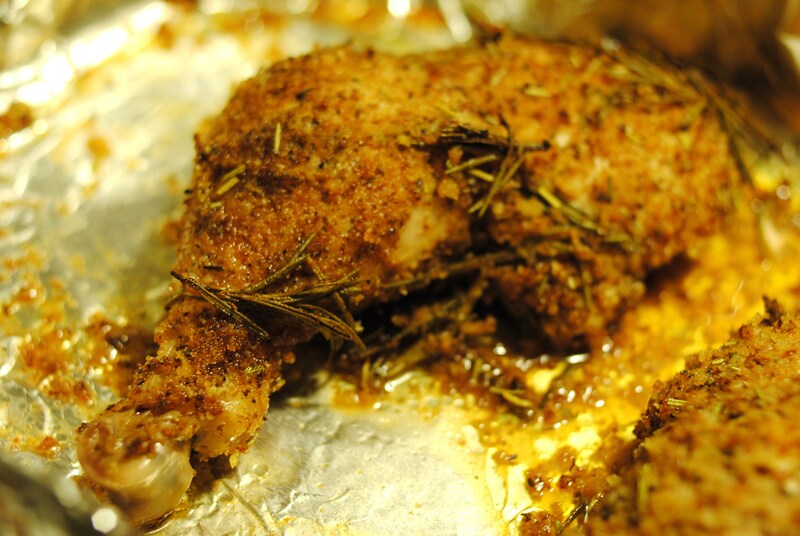 Pull the majority of the rosemary off the marinated chicken (I leave a few pieces and a few pieces wedged within the breast for flavoring, however) and coat the chicken in the breadcrumbs. 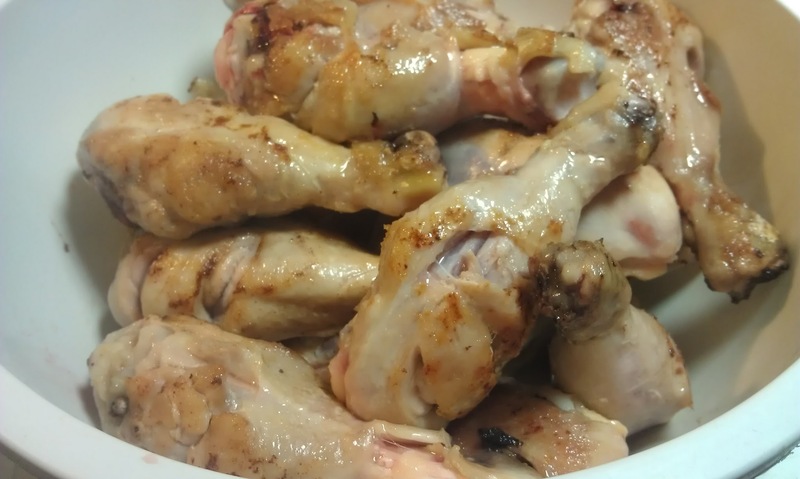 Lay chicken down in a large Pyrex pan. Add remainder of rosemary and marinade to the pan. 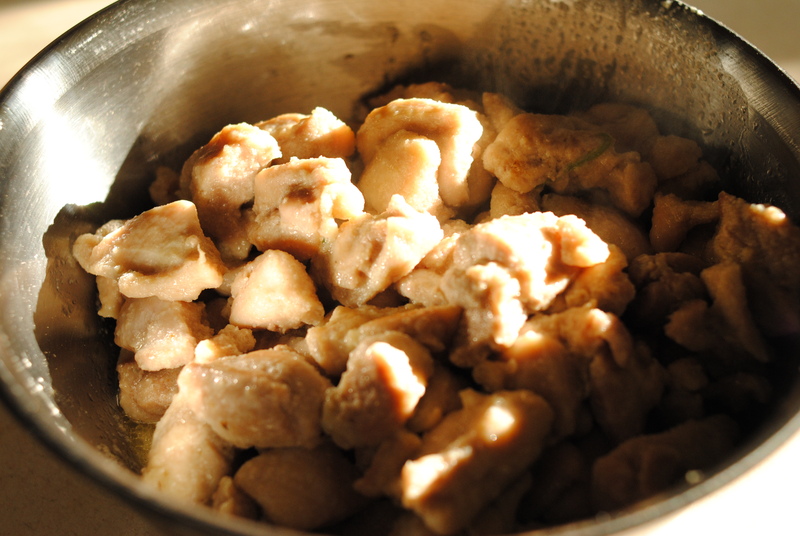 Bake at 350 degrees for 40 minutes, or until internal temperature of chicken reaches 165 degrees. Remove from heat and cover with foil. Allow to rest for 5 minutes. 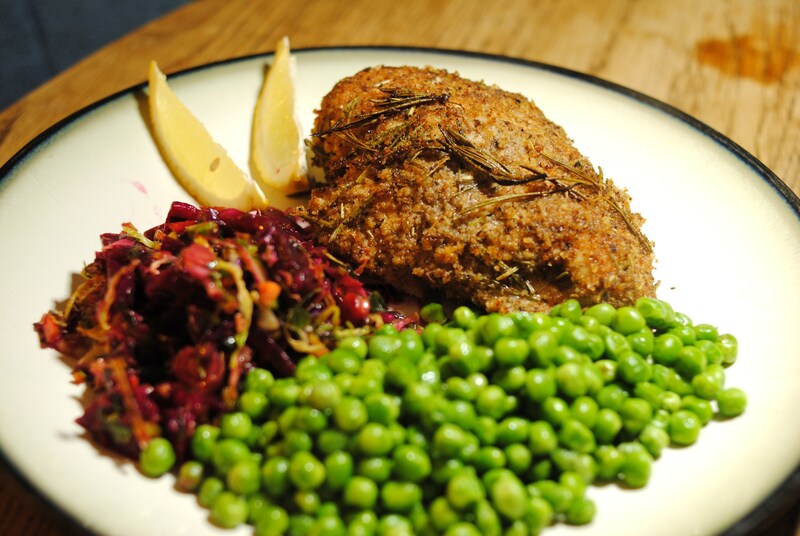 Baked Breaded Rosemary Lemon Chicken, served with a marinated minced vegetable salad and buttered peas (low-amine, gluten-free, soy-free, dairy-free, nut-free, tomato-free). 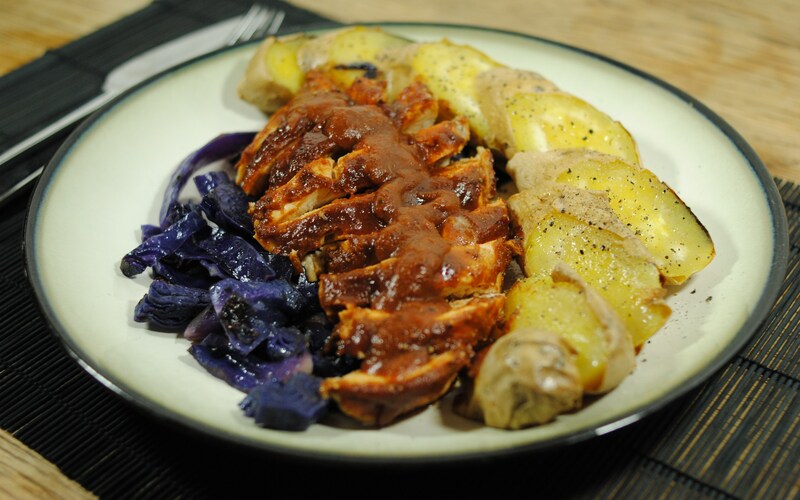 Low-Amine Baked BBQ Chicken (low-amine, gluten-free, soy-free, dairy-free, tomato-free, low-fat, low-carb) served with baked sweet potato and stir-fried purple cabbage. 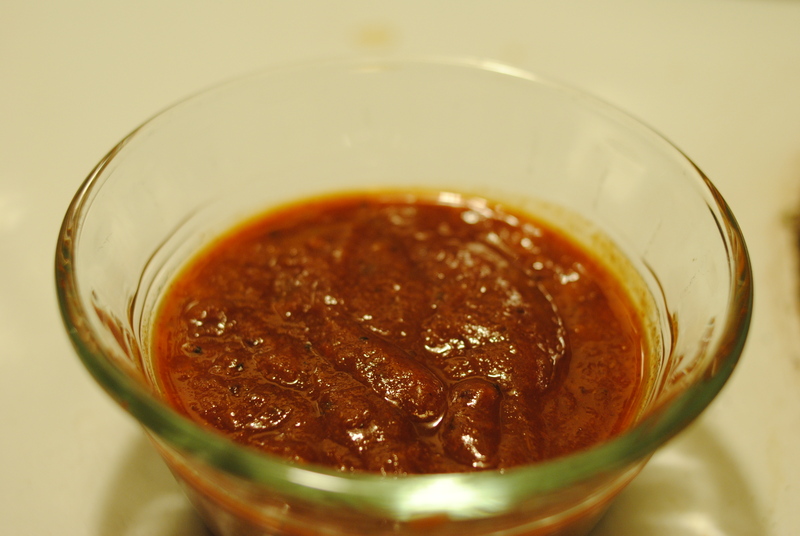 This basic recipe requires you to have made the low-amine BBQ sauce in advance. I usually make mine in big batches and freeze them in one-cup servings in Ziplock bags for later use. Chicken breasts are versatile and work very well with the low-amine BBQ sauce. It’s a great easy meal that requires very little work (sauce-making aside). 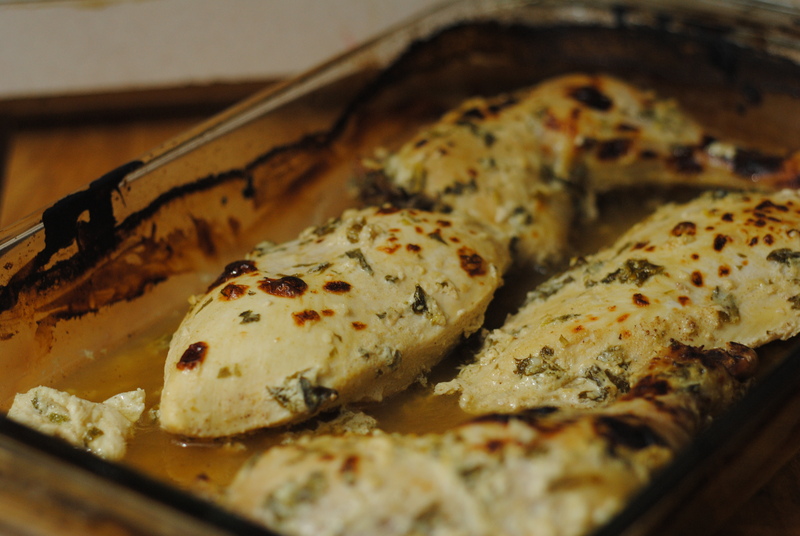 Lay chicken breasts down in Pyrex pan. 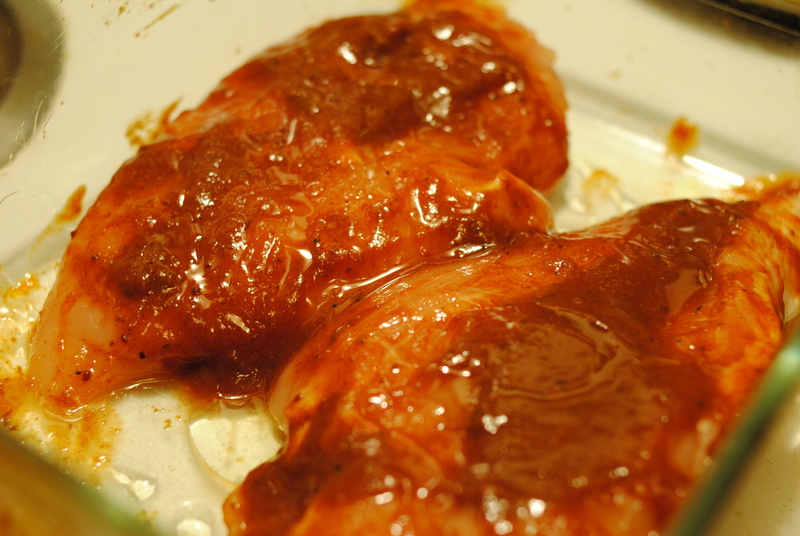 Slather chicken breasts with 1/4 C low-amine BBQ sauce. Bake for 30 minutes, or until internal temperature reaches 160 degrees. Optional side dishes: small/medium sweet potatoes can be tossed in the oven straight on the rack to cook with the chicken and should be done about the same time. 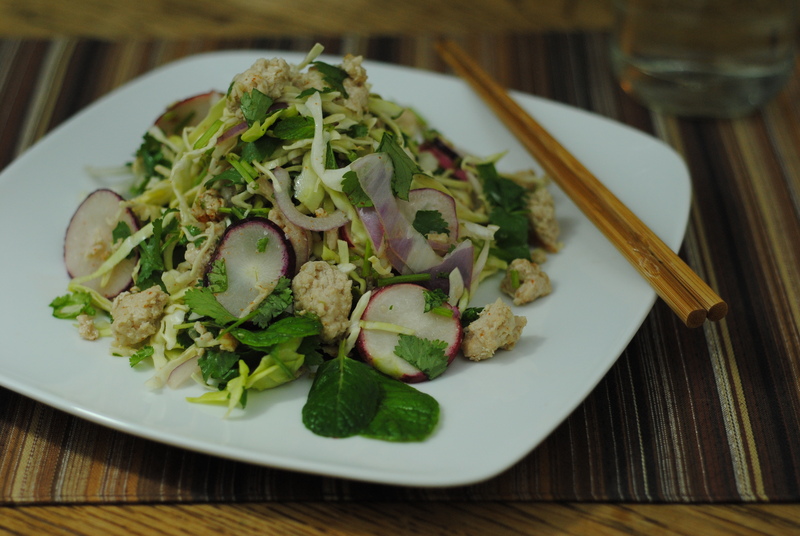 Purple cabbage was stir-fried simply with safflower oil, salt, garlic, and pepper. Broil for about 5 minutes to brown the top of the chicken and sauce. Baked and broiled low-amine BBQ chicken, ready for slicing! Warm up remaining 1/4 C low-amine BBQ sauce. 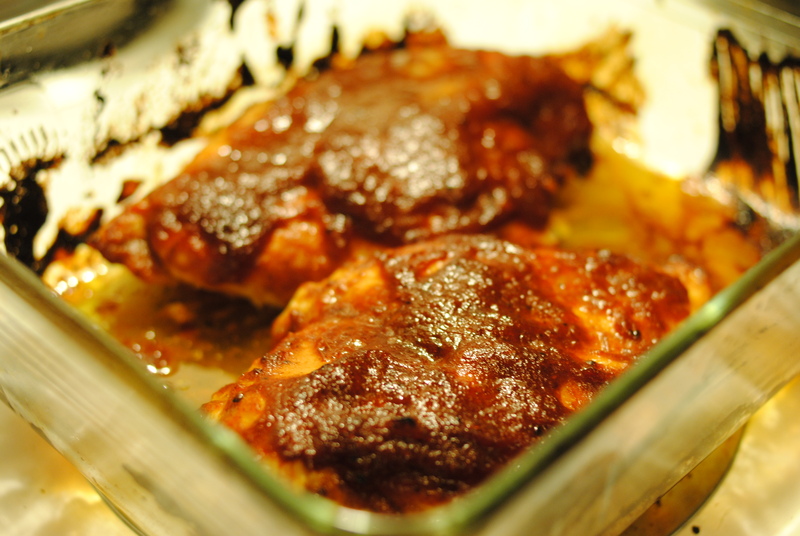 Remove from oven, cut chicken into slices and serve with BBQ sauce drizzled over the top. Low-amine teriyaki chicken is a real treat, since soy sauce is high in amines. It is easily made, though, with a little low-amine soy sauce substitute and sesame oil substitute! Mix all ingredients together (except onions) in a large Ziplock bag until sugar is dissolved. Let marinate for four hours, flipping halfway through. 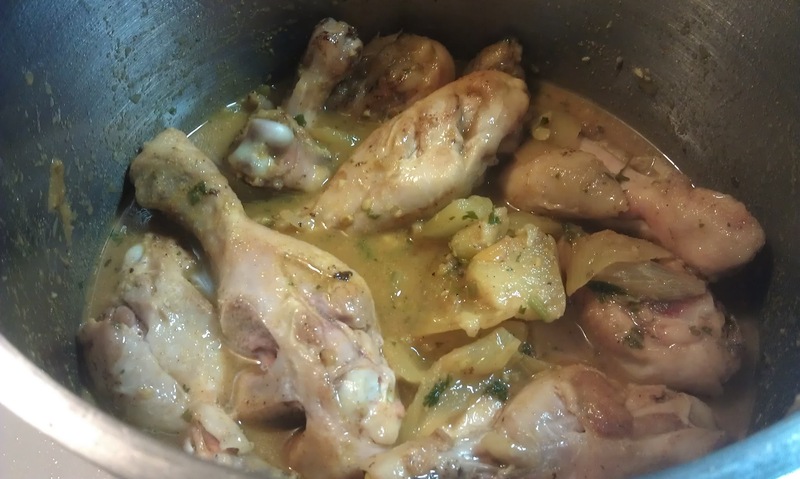 Lay marinated legs down in a Pyrex pan and lay onions around them. Add about 1/4 C of the marinade. Baste twice during cooking. Bake for 25 minutes, or until internal temperature reaches 165 degrees. 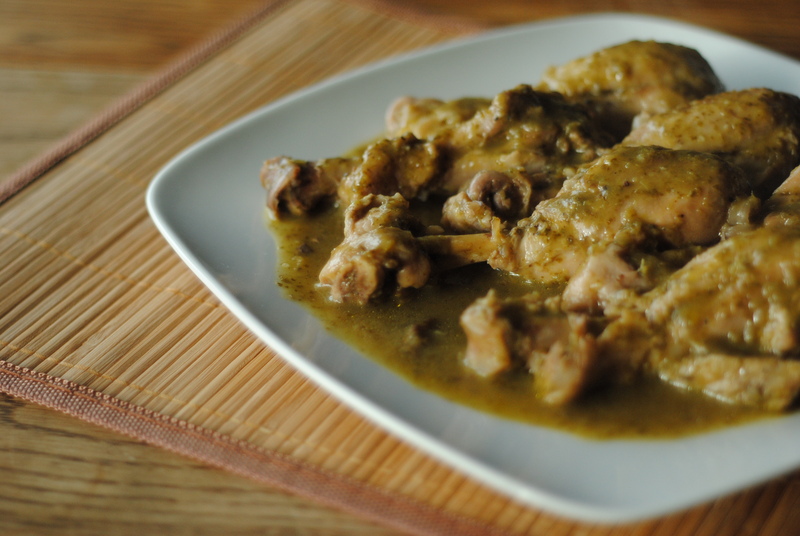 This low-amine chicken dish is tart with fruity undertones. I love using the leftover tamarind apricot sauce over rice. It’s hearty, but refreshing at the same time. Add chopped apricots, chili powder, and salt. Saute until soft, or about 3 minutes. Add stock, tamarind, ginger, Thai bird chilies, and apricot nectar. Add onions and chicken and mix well. Try to ensure the chicken is mostly covered by the liquids. Cover and simmer on low for 40 minutes, checking occasionally to ensure it isn’t sticking to the pot. Add cornstarch and give pot a big stir. Serve hot with sauce. 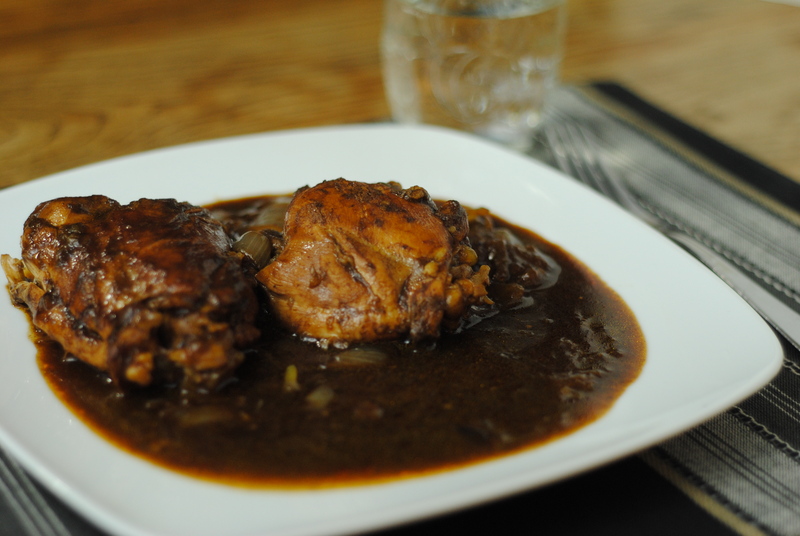 Ideally, serve with a starch to soak up the low-amine sauce – it’s damn tasty. Chicken is one of those love-hate meals for me. When it’s well marinated, I love it. But otherwise it’s just a bit boring for my tastes. 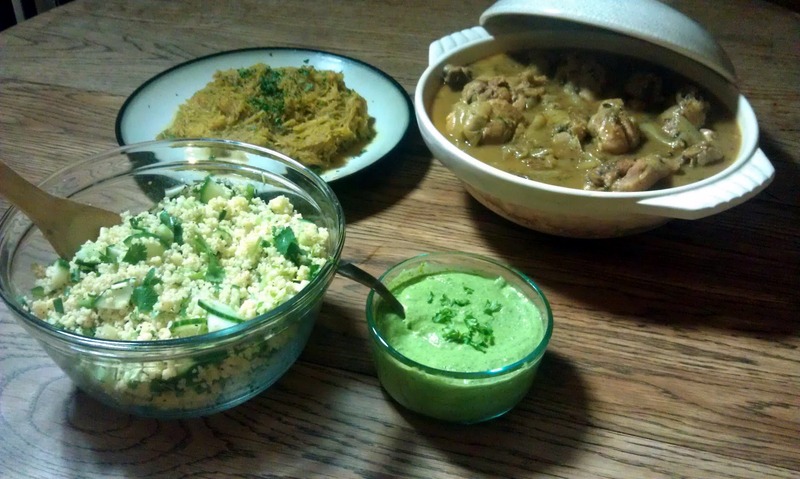 I decided rather than a short-marinade, I’d let the chicken marinate in the yogurt sauce for almost 24 hours. It was definitely the right choice. They turned out succulent and had a nice “lemon” kick to it from the ascorbic acid. Mix all ingredients together in a Ziplock bag, and ensure chicken is well coated. Press all air out of the bag, and leave it in the fridge to marinate, flipping over halfway through if possible. Marinate for 24 hours. Preheat oven to 400 degrees on the middle rack. 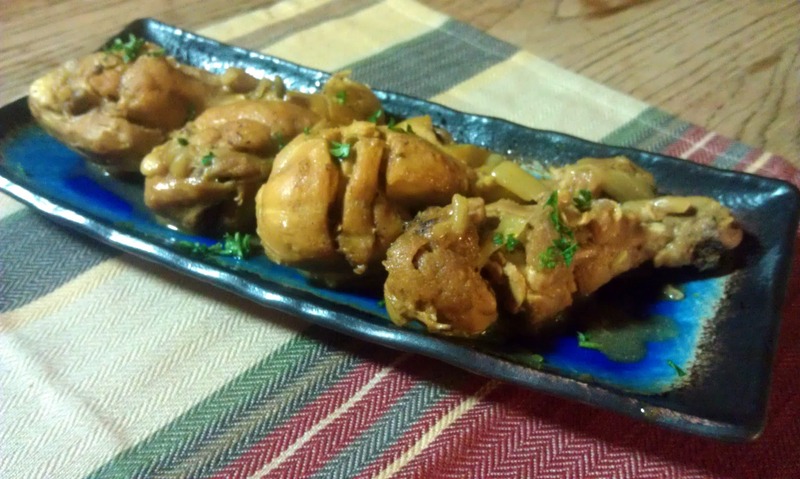 Chicken covered in low-amine marinade of yogurt, mint, garlic, & ascorbic acid. Cover chicken and bake for 30 minutes. Raise rack to the highest possible. Uncover chicken, baste well, and broil for 3 minutes. 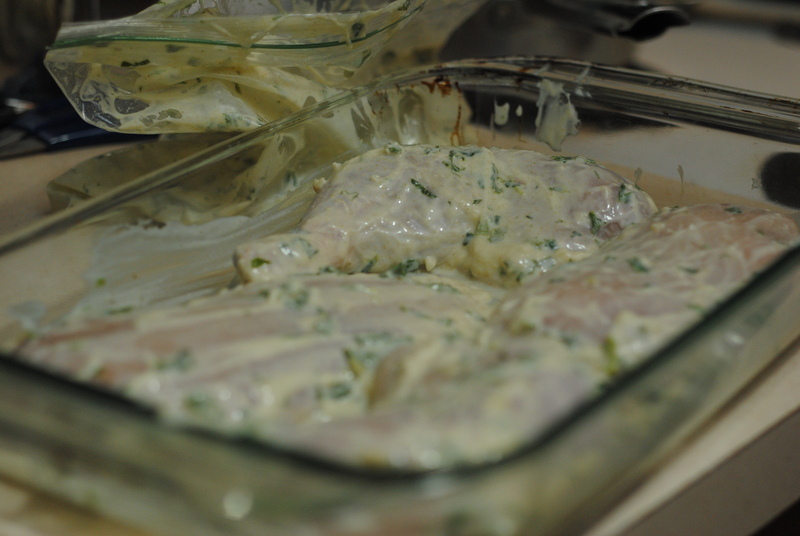 Baked and broiled yogurt-marinated low-amine chicken, ready for plating. Legs/thighs can be plated as is. Breast should be sliced on a diagonal into pieces. 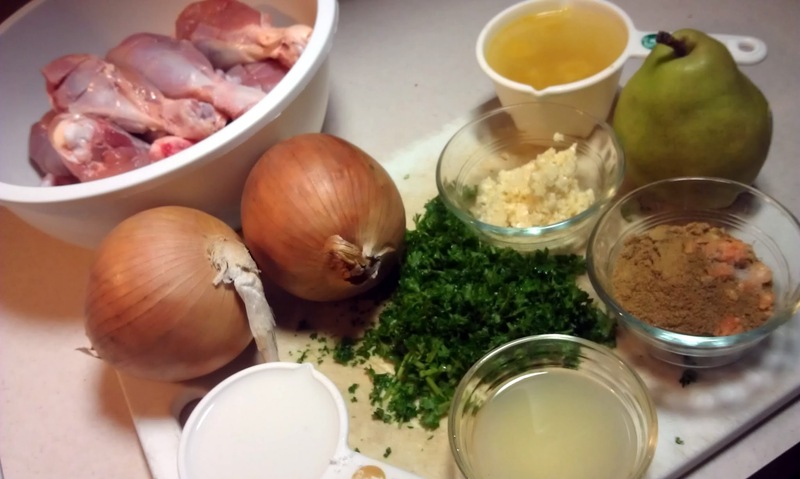 Serve chicken plated with juices. 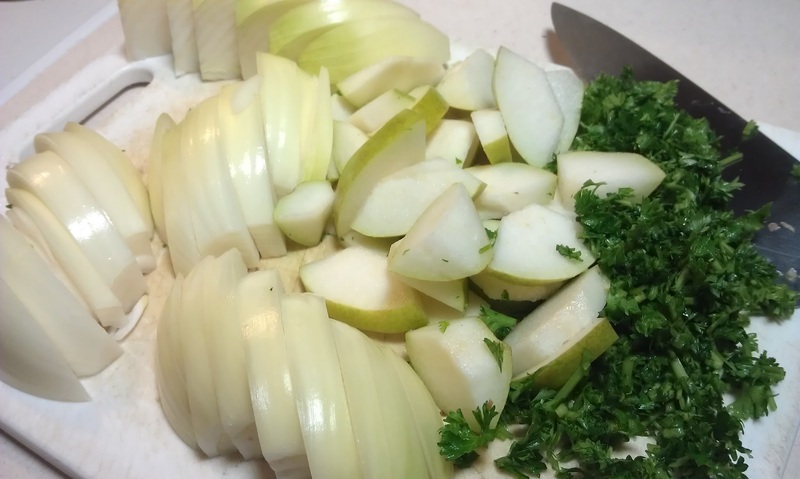 For this recipe, I already had cilantro chutney on hand. 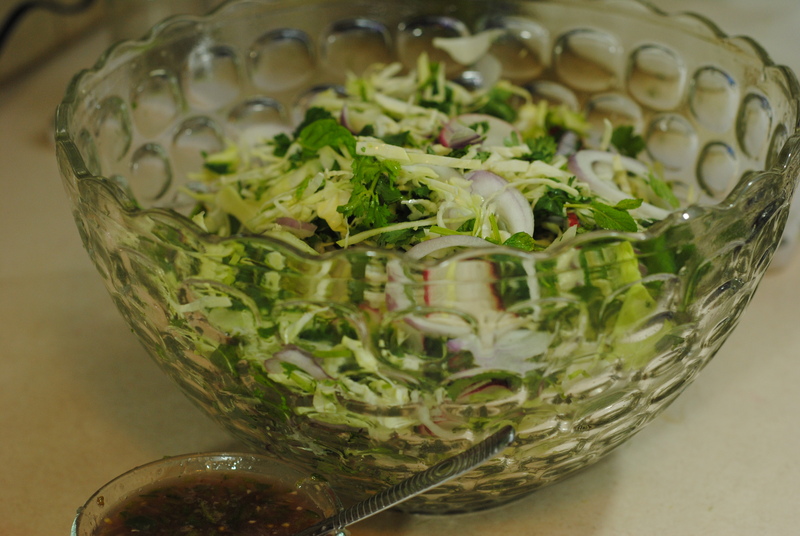 I love to eat my low-amine cilantro chutney by the spoonful, but it also works well in recipes as a flavor base. 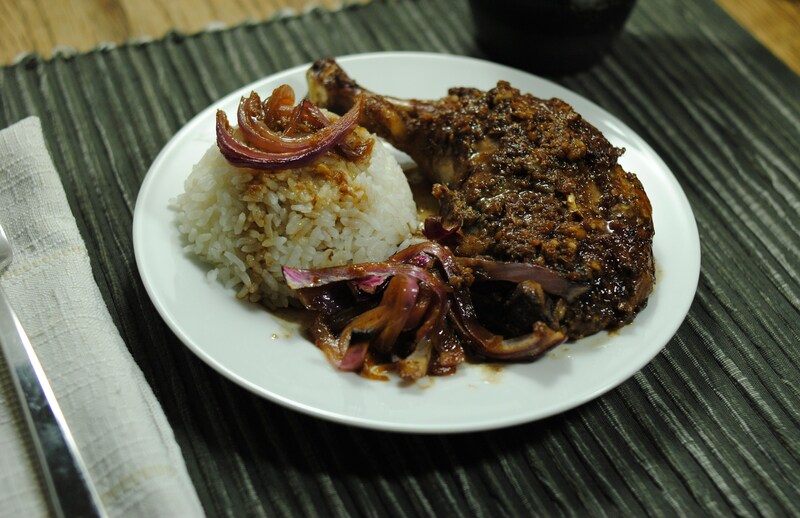 The meat is tender and falls off the bone, and is a simple, easy way to prepare chicken. Heat a high-walled pot to medium with the oil. When oil is hot, add chicken. Turn once, so that chicken has a chance to brown. Ensure chicken is not stuck to the bottom of the pot, then add blueberry juice, cilantro chutney, ascorbic acid, sugar, and vegetable stock. When it comes to a boil, reduce to a simmer. 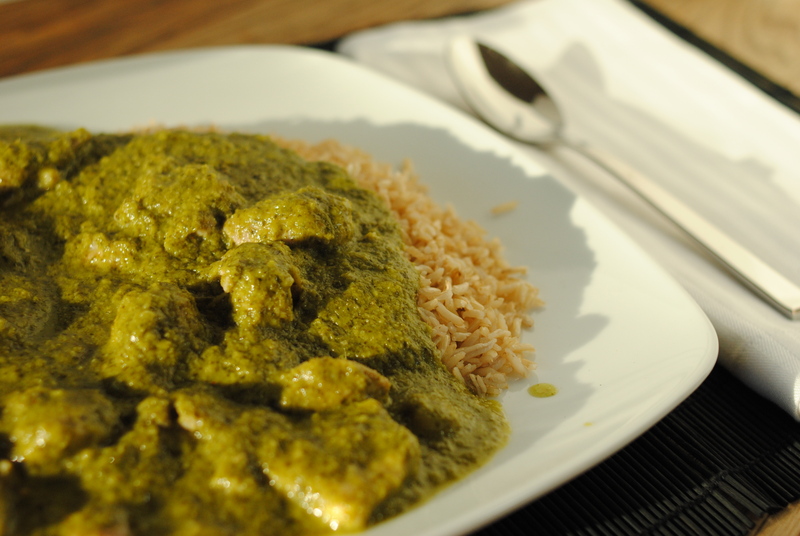 Simmer cilantro chicken for 30 minutes. Mix corn starch and cold water. Once dissolved, pour into the pot and immediately stir well.